AGS now provides a choice of memberships for those who are new members and for those renewing their membership. Members may now choose from PRINT or DIGITAL as the method by which they receive their copy of the Relatively Speaking Journal. The digital membership option is less expensive because AGS does not incur any printing and mailing costs. All other benefits of AGS membership remain unchanged. If you are a current AGS member, please login first, then renew. Memberships and other products can be paid through PayPal (including credit cards). You do not need a PayPal account. A senior member receives all benefits of membership in AGS, plus one branch, for the year in which they become a member. 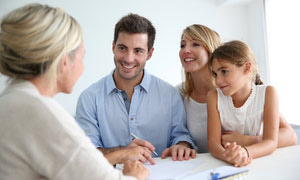 All family members receive all benefits of membership in AGS, but only one copy of RS, plus one branch, for the year in which they become a member. Family members must reside at the same residence. An individual membership is open to any person. They receive all the benefits of an AGS membership. That membership includes one free home Branch membership. Additional Branch memberships can be purchased for $10 each. Young Adult memberships are open to ages 18 to 23. Benefits include: publication in PDF, use of AGS library resources, the opportunity to join other AGS Branches, and voting privileges at meetings. 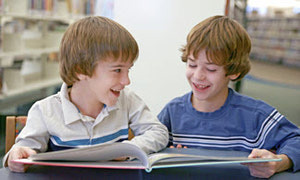 A student membership is open to children between grades 1 to 12. Benefits include: publication in PDF, use of AGS library resources, opportunity to join other AGS Branches, etc. Students must be accompanied by an adult at libraries and meetings. 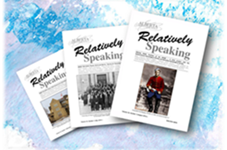 Copies of all back issues of Relatively Speaking are available for purchase: $6.50 per issue or by box set (complete volume year) for $25.00.